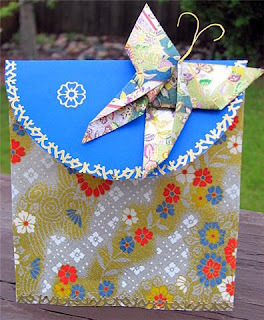 Any crafty creation is accepted and you have until Tuesday June 2 at midnight to post and leave us a link using our new MISTER LINKY FORM below, to be entered into our random pick for this week's prize! 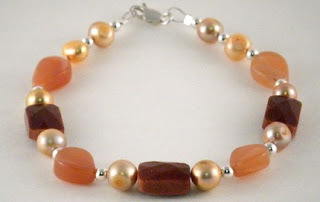 Our SPONSOR this week is SHOOTING STAR JEWELRY and she has generously offered this gorgeous handcrafted bracelet as the prize for this week's challenge winner! 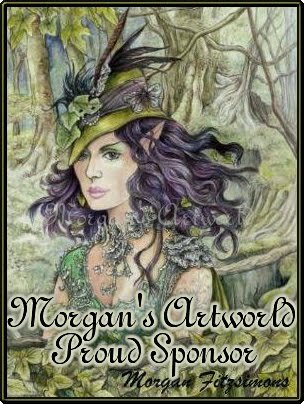 Please take some time to have a look through her shop, there are many beautiful pieces that you will want to call your own! WE ARE ALSO LOOKING FOR GUEST DESIGNERS! We will select one person from this week's challenge entries (please indicate if you are interested) to guest design for the following two weeks challenges! Sound good? 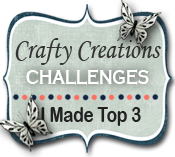 We want to show off your talent, and in turn, inspire new talented crafters too!! 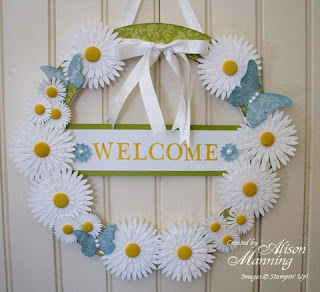 We are happy to have JENNIFER with us this week as our Guest Designer! 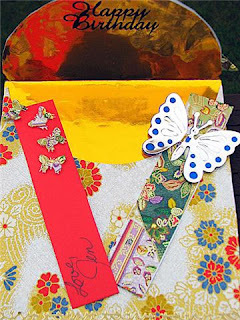 She has made this stunning envelope style bookmark holder with an origami butterfly! The papers are fabulous aren't they? Have fun with the challenge! We are excited to see what you come up with, the creative talent we see week after week is inspiring!! 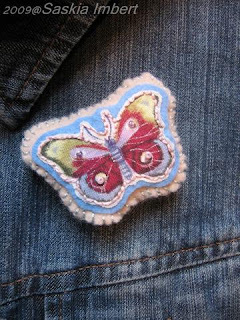 Don't forget to link your creations using our new easy to use Mister Linky. IF MISTER LINKY IS NOT WORKING PROPERLY, PLEASE LEAVE A LINK AS USUAL IN THE COMMENTS! THANKS! 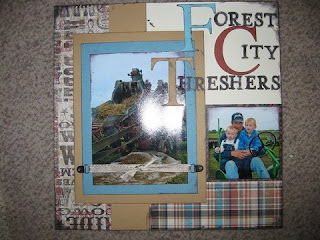 Sue Hayward from Passionate About Crafting. 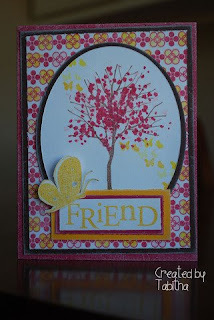 This was Sue's first ever challenge card - way to go Sue! 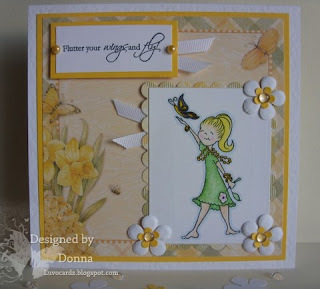 You can see her fabulous card here. 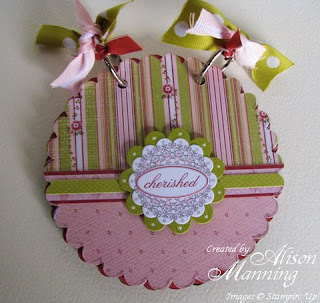 Sue - please email your snail mail address to me at alimanning@charter.net so I can have the prize sent to you. Special thanks our sponsor The Earring Boutique and thanks to everyone who participated in this week's challenge. This week we challenge you to use metal in your project. Our super sponsor is The Earring Boutique and the lucky winner of this challenge will receive a beautiful pair of 14 K swarovski crystal earrings. 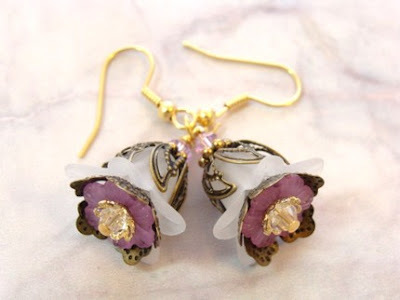 Head over to the Earring Boutique and check out Sandy's beautiful work. Here's a little inspiration from the design team. 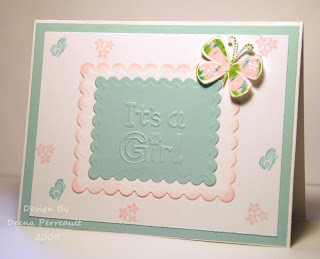 Our Guest Designer this week is Paula of Pollys Card Heaven and she made this cute Christening card. 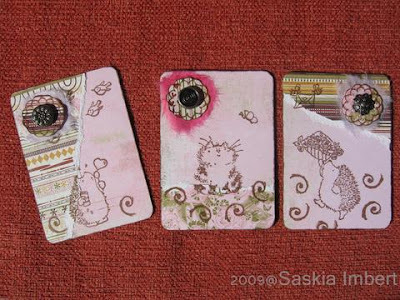 Saskia embellished her adorable ATCs with metal accents. 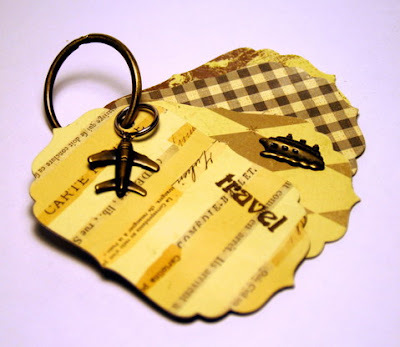 The metal charms on Deena's mini travel journal are the perfect touch. 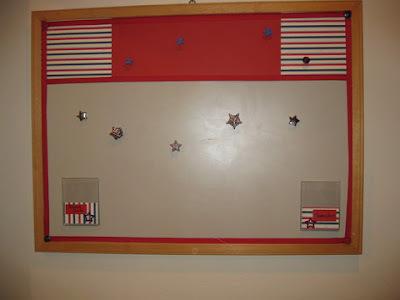 How much fun is Jaime's memo board - I'd love this in my house! 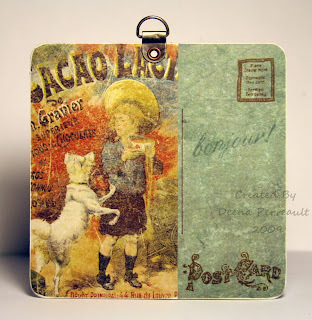 And finally I chose to make an altered altoid tin for a gift card. 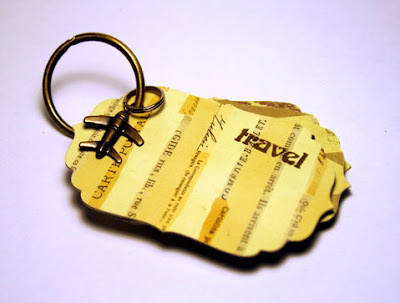 Leave a comment with a link to your project - we can't wait to see your creations with metal! Winner Chocolate Challenge. 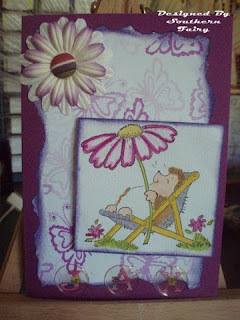 . .
And the random pick for last weeks prize is. . . .
congrats lynne! Please email Deena @ deenaperreault@hotmail.com with your address. 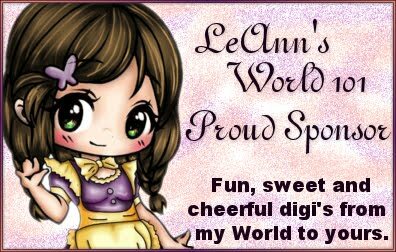 Thank you for all the sweet entries last week!! Thanks to everyone who played last week! Please drop an email with your address to deenaperreault@hotmail.com . Have fun with this week's CHOCOLAT challenge everyone! 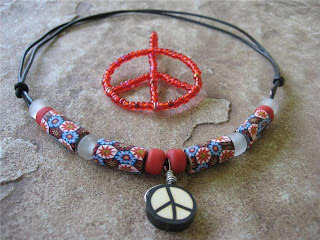 Art's Alley has donated this lovely necklace for this weeks winner. Make sure to check out their shop, lots of cute necklaces at great prices! So this week we want to see Chocolate! 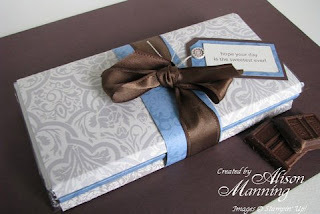 It can be chocolate, hold chocolate, look like chocolate, taste like chocolate, get the idea. 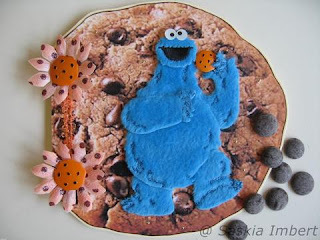 Saskia's yummy Cookie Monster piece. 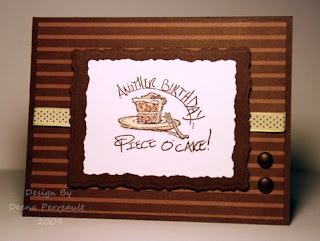 Deena's So Chocolate looks like I could eat it Birthday Card. Jaime's Chocolate covered Chocolate holder bag. Hello everyone! 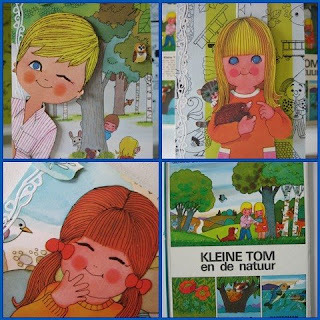 Thanks to all of you for joining us last week in our "Sweet and Yummy" challenge! We saw a lot of SWEET projects!! 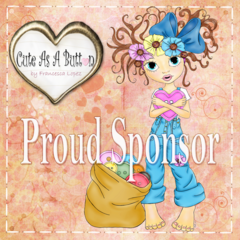 A big THANK YOU to OUR SPONSOR TANNY'S TREASURES too!! 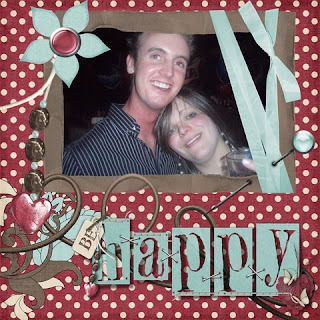 Steph picked our challenge this week: MEMORIES is the theme! 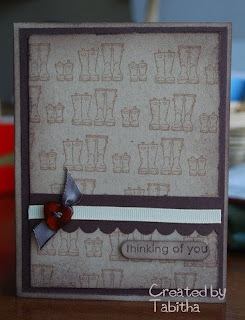 We accept any craft project, just use the theme of MEMORIES for whatever you choose to make! 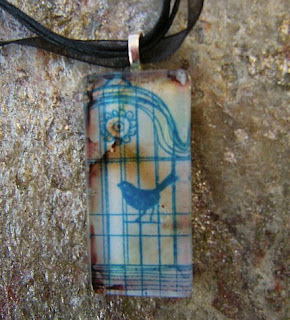 look great hanging in your car, or around your neck..." Have a look at her ETSY SHOP, for more beautiful designs! Just click on the image link in our sidebar and it will take you right there. Have fun crafting! 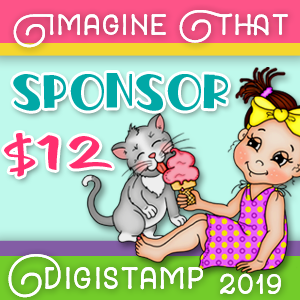 We are looking forward to seeing all of your creations this week! Sweet and Yummy Challenge Winner! with your address and I'll send your prize! Thanks to everyone who played last week and... look out for our next challenge!